Scott Denning is Monfort Professor of Atmospheric Science at Colorado State University, where he leads a large research group using many kinds of observations and models to understand the metabolism of the Earth’s biosphere. In addition to using global satellite imagery, his research has included extensive field work in the great north woods of Wisconsin, the farms of Iowa, and the Amazon rainforest. He also serves as Director of Education and Diversity for CMMAP, the Center for Multiscale Modeling of Atmospheric Processes, working to enhance understanding of global climate through K-12, undergraduate, and graduate study as well as informal education and public presentations. He has written over 80 publications in the peer-reviewed climate literature, is a former editor of the Journal of Climate, and served for five years as founding Science Chair of the North American Carbon Program. He takes special delight in engaging hostile audiences on the subject of climate change and has twice been a featured speaker at the Heartland Institute’s annual conference. His undergraduate degree is in Geology, from the University of Maine. Following a very brief career in the oil industry, he worked on biogeochemistry of a high mountain watershed for several years before his PhD studies at Colorado State University. Denning joined the faculty of the Donald Bren School of Environmental Science and Management at the University of California, Santa Barbara in 1996 and returned to Colorado in 1998 where he joined the faculty at his alma mater. Denning lives in Fort Collins, Colorado with his wife, two teenage sons, a Chocolate Lab, two cats, and a lizard. He is an avid amateur astronomer and spends clear weekend nights photographing the galaxy from a mountain cabin. Also known by her Cree name, Sky Dancer, Louise B. Halfe was appointed Poet Laureate of Saskatchewan in 2005. 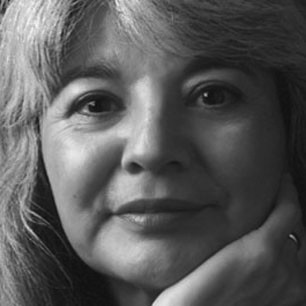 Halfe is a powerful and provocative writer and speaker whose first book, Bears Bones & Feathers, was published by Coteau in 1994 to considerable critical acclaim, winning the Milton Acorn Award for Poetry. Her second volume, Blue Marrow (McClelland & Stewart,1998), was a finalist for the Governor General’s Award for Poetry, the Pat Lowther Award, the Saskatchewan Book of the Year Award, and the Saskatchewan Poetry Award. Halfe’s poetry has been published widely in various anthologies and literary journals. Her third book, The Crooked Good, was published by Coteau in 2007. Halfe has travelled around the globe, giving readings and keynote addresses, many of which have environmental concerns and connections. She was the Markin-Flanagan Distinguished Writer in Residence at the University of Calgary, and has conducted numerous writing workshops in collaboration with other writers. Born in Two Hills, Alberta, Sky Dancer grew up on the Saddle Hills Reservation and attended the Blue Quills Residential School. She received her Bachelor of Social Work from the University of Regina and has a Certificate in Drugs and Alcohol Counselling. Louise Halfe is a longtime resident of Saskatoon, Saskatchewan; she is married and has two children and two grandchildren. Alanna Mitchell is a Canadian environmental journalist who has authored the highly-regarded Dancing at the Dead Sea: Tracking the World’s Environmental Hotspots (2004) and Sea Sick: The Global Ocean in Crisis (2009). An international best-seller, Sea Sick won the prestigious Grantham Prize for environmental reporting in 2010, which was a first on two counts: the Grantham has never before been awarded either to a Canadian or for a book. Mitchell’s recent work includes an essay in Tim Flannery’s Now or Never, outlining three solutions for Climate Change. She also works on CBC’s Quirks & Quarks and writes for various magazines and U.S. newspapers. She lectures widely about planetary science and neuroscience. In 2000, the Reuters Foundation and the World Conservation Union named Mitchell the best environmental journalist in the world. 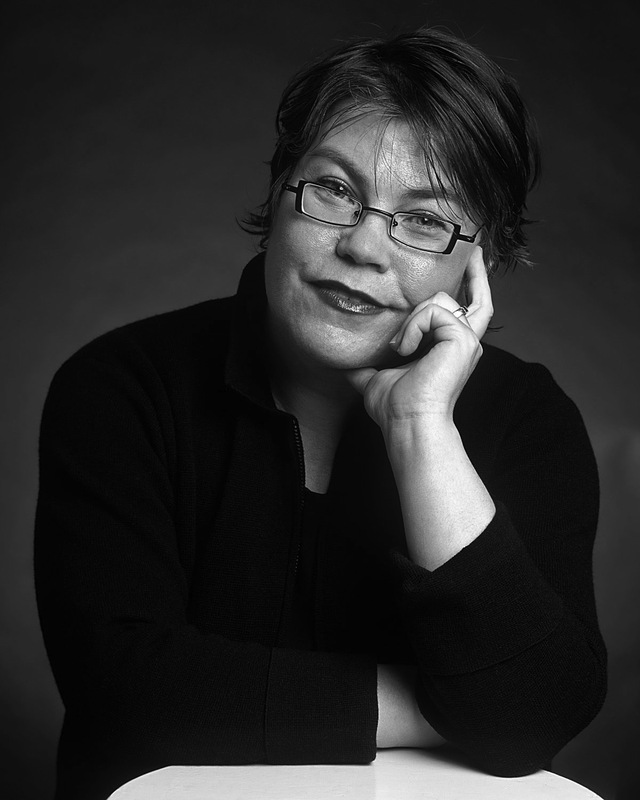 She has written for The Financial Post and The Globe and Mail, winning four major national and international awards during her time with the latter, widely considered Canada’s national newspaper. Mitchell also received the 2008 Atkinson Fellowship in Journalism ($100,000) and was honoured recently with an honorary Doctor of Laws from the University of Regina. She has degrees in Latin and English (University of Toronto) and Journalism (Ryerson). Alanna Mitchell lives with her family in Toronto; she is working on a new book about why we’re not moving quickly to a low-carbon world and what it would take to do that. See www.alannamitchell.com for more information. Gary Paul Nabhan is a critically-acclaimed ethnobotanist, farmer, and author based in Arizona, close to the Mexican border. 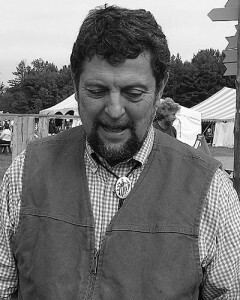 He is the author or editor of over twenty books, including Enduring Seeds (1989), Cultures of Habitat (1997), Coming Home to Eat: The Pleasures and Politics of Local Foods (2001), Cross-Pollinations: The Marriage of Science and Poetry (2004), and Chasing Chiles – Hot Spots Along the Pepper Trail, 2011 (2011). Nabhan is a MacArthur Fellowship recipient (1991-1995) and won the John Burroughs Medal for distinguished natural history writing. He has been named a Pew Conservation Scholar as well as an Utne Reader Visionary. At Northern Arizona University, Dr. Nabhan was the founding director of the Center for Sustainable Environments; he also co-founded the nonprofit conservation organization Native Seeds/SEARCH and was Director of Science at the Arizona-Sonora Desert Museum. He currently holds the Kellogg Endowed Chair in Southwestern Borderlands Food and Water Security at the University of Arizona. With his family, Gary Paul Nabhan farms indigenous foods, including heirloom fruits and nuts and heritage grains and beans. See more about Nabhan at www.garynabhan.com. For information regarding his local foods alliances, see http://www.albc-usa.org/RAFT/resources.html. 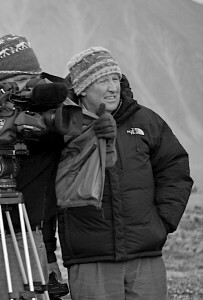 Tom Radford’s career as a writer, director, and producer in the Canadian television and film industries spans forty years. His extensive filmography covers over fifty works, including many environmental documentaries, from Land (1971) to The Renewable Society (a 26-part television series), and Cities Crossing Borders (2009). Radford has collaborated with First Nations peoples in making films like Foster Child (1988), The Honour of the Crown (2002), Worlds Collide (2005), and I, Nuligak (2006). When Codebreakers was named best Science and Adventure Documentary at the 2011 Gemini Awards, it marked the tenth time Radford’s films have won national or international honours. In 2010, Inuit Odyssey won Best Popular Science program at the World Television Awards. Radford has won the Best Director prize at the Alberta Film Awards on eight separate occasions, most recently in 2011 for Tipping Point, The Age of the Oil Sands, a two-hour investigation into the environmental impact of the Athabasca oil sands (co-directed with Niobe Thompson). His films have won recognition in festivals around the world, including the Alberta Award of Excellence presented by Peter Lougheed. His most recent work is Human: The Miracle of a Species (2013), a three-part documentary series on the evolution of homo sapiens in a time of extreme climate change. 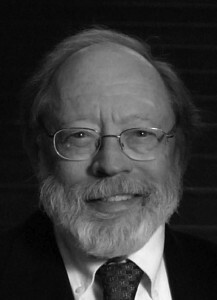 Since 1989 Donald Worster has held the Hall Distinguished Professorship Chair in American History at the University of Kansas. Earlier, he taught at the University of Hawaii and Brandeis University, after earning a Ph.D. in American history and literature at Yale University in 1971. His principal areas of research and teaching include North American and world environmental history and the history of the American West. Professor Worster’s publications include two recent prize-winning biographies, A Passion for Nature: The Life of John Muir (2008), A River Running West: The Life of John Wesley Powell (2001), along with eight other books, including: Rivers of Empire, which deals with the development of water resources in the West; Dust Bowl (1979), a study of the Southern Plains in the “dirty thirties,” and Nature’s Economy (1994, second edition), which traces the development of ecology from the eighteenth century to the present. His books have been translated into French, Italian, Spanish, Chinese, Swedish, Korean, and Japanese. In addition, he has published shorter pieces in the Journal of American History, Agricultural History, the Western Historical Quarterly, the Pacific Historical Review, the Ecologist, Environmental History, Foreign Affairs, and others. As one of the pioneers of environmental history, Professor Worster has been particularly active in building and promoting this field. 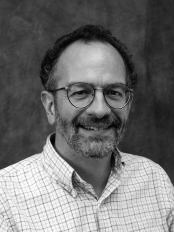 He has served as president of the American Society for Environmental History, sits on a number of editorial boards, and is advisory editor for the Cambridge University monograph series, “Studies in Environment and History.” He has lectured throughout the United States and in Africa, Asia, Europe, Canada, Central America, New Zealand, and Australia. He is an elected member of the American Academy of Arts and Sciences and of the Society of American Historians and has held numerous fellowships and research grants. Most recently, he was named the Strachan Donnelley Distinguished Visiting Scholar at Yale University and a Fellow at the Rachel Carson Center, Ludwig Maximilian University, Munich, Germany.